Knowing the pitfalls to avoid with your retirement savings won’t guarantee a financially stress free retirement, but it may help. Retirement usually lasts for around 30 years so becoming financially aware as soon as possible is a better option that leaving it until the last minute. The early you begin planning your retirement the better. It’s a fact that a huge number of people have little or no retirement funds built up when they hit retirement age. Many people will not even bother setting up a pension fund if they only have around 10 years left until they retire. It is never too late to set up a pension fund but the later you leave it the less you will have on retirement. Assuming that you can get by on state pension is a big mistake. State pensions are woefully low and will not leave much after the bills have been paid. Having a pension plan in place or some investments should make your retirement years a more enjoyable time. Having the money to enjoy your newly acquired free time will make all the difference and should lead to a financially stress free lifestyle. Always have financial alternatives in place that will boost your state pension. The temptations to dig into retirement savings or cash investments in early may happen from time to time, but should be avoided. The retirement savings fund has a set purpose and should not be seen as emergency money. Don’t treat retirement savings as cash that can be used when needed, this is your nest egg and should be treated carefully. If you have 20 years or so until retirement then you may think you have plenty of saving time. In actuality 20 years of saving will give you a pension but not a huge one if you are a minimum saver. Try to steadily build up the amount you place into your pension. Remember that many people retire with less than a minimum wage income as their retirement savings fund. Don’t let this happen to you; plan and start saving as early as possible. Many people put off investing simply because they see it as too confusing and know nothing of stocks, shares and ISAs. Knowing the basics when it comes to shares and investments will be the best way to make sure you pick the right investments for your needs. Understanding investments and how they work should minimise your investing risks and increase your chance of getting a fair return for your money. There are plenty of pension and investment information sites on the internet, and financial advisors can always be contacted for information on investments. If you have plenty of cash and time to spare before retirement then diversity may be the key to greater retirement savings. If you have 20 years before retirement then you can afford to be more aggressive with your investment options and take more risks with high return investments. Always have a main pension plan but add on some other investments that can bring a higher return. One or two losses over 20 years will then mean you still have the set retirement savings investment if you do make a loss on some of your investments. Using a tax free ISA saving allowance will guarantee you get a return for your money. The interest is tax free and the government will also place some money in meaning you are a double winner. 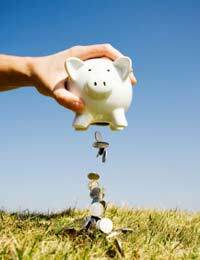 Don’t forget to take the maximum allowance each year in order to get the most from your ISA. It is not something most people want to think about, but dependants should be considered in your retirement plans. If you have dependants then this may make a difference to your retirement savings and the type of investments you make, especially if you want to leave some money to your dependants. A good financial advisor will be able to give investment information for those with dependants, and the best investments to make in order to ensure your dependants will be provided for. Saving for your retirement years so should start as early as possible. No one wants to spend their retirement years surviving on a state pension, especially when it would have only taken a few astute investments to boost the retirement savings fund. Always take the best financial advice possible and undertake your own research when considering your retirement savings plans.